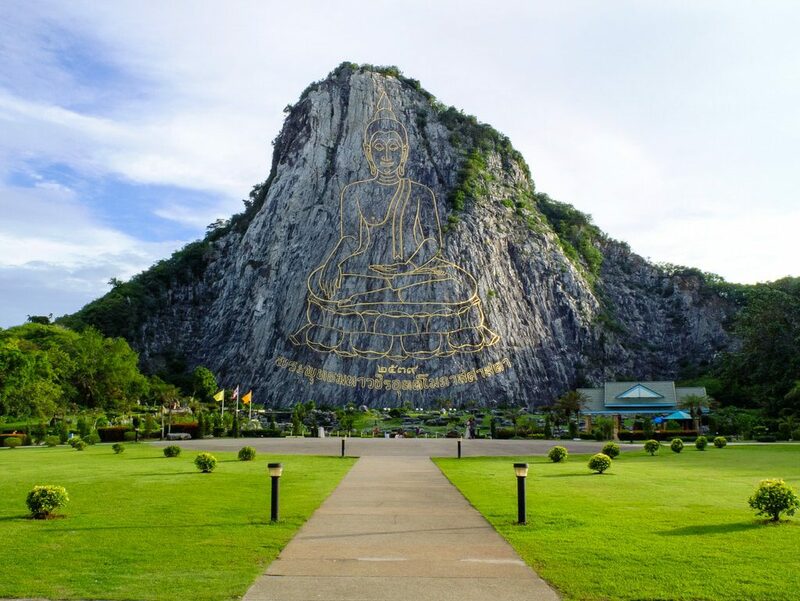 Khao Chi Chan, or as it is more commonly known, Buddha Mountain has become an iconic landmark in Pattaya and a popular tourist attraction. 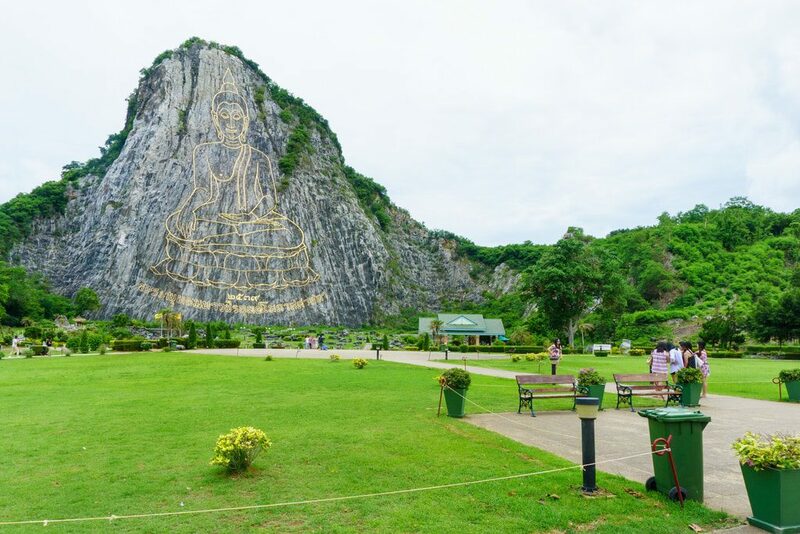 This giant golden Buddha carved into the face of a mountain cliff is set among a beautiful and tranquil park. A short walk along paved paths will bring you right to the base of the mountain where you can see the full detail and really appreciate the gigantic scale of this impressive carving. There is a small lake at the foot of the mountain filled with lilies and lotus flowers. 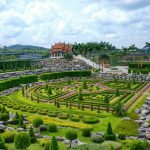 The area surrounding the mountain is a park filled with lush green grasses, flowers, ponds, and open air pavilions which make this a perfect spot for a picnic. You can relax in the peaceful atmosphere and beautiful surroundings. Buddha Mountain is also home to a small temple and several shrines where Buddhists can pray and make offerings. It is not uncommon to see monks roaming the grounds. There are several informational signs located around the park telling of its history. The signage is written in both Thai and English which makes learning about the history accessible for visiting tourists. If you get hungry or thirsty while you are enjoying the sight of the golden Buddha, there are an assortment of vendors in the parking lot serving food and drink. 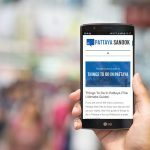 You can make a quick visit to Buddha Mountain on your way to other destinations such as Silverlake Vineyard, Nong Nooch gardens, Viharn Sien, or Wat Yansangwararam. All of which are in nearby proximity. Or if you want to make a relaxing half day trip, pack a picnic lunch and take your time. There is no entrance fee at Khao Chi Chan, however, there are several donation boxes around where you can make a small offering to help with the upkeep of this lovely sight. The mountain was originally mined for U.S. Army and Air Force projects at the local Utapao Airport during the Vietnam War. The mining continued on for several years after the Americans departed, eventually leaving the sheer face of the mountain we see today. In 1995 the idea to carve a giant Buddha on the side of the mountain was hatched by Somdet Phra Yannasangwon. He was the supreme patriarch of Thailand (head of the monastic order) at the time. In 1996 construction began on the carving. It was first designed on a computer before being etched into the mountain with lasers. Afterward the entire Buddha image was filled in with gold leaf, a project that took several more months to complete. 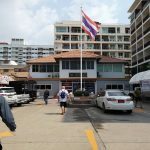 The project was finished in time to celebrate the golden jubilee or 50th anniversary of King Bhumibol’s ascension to the throne of Thailand. The Khao Chi Chan carving is an amazing 109 Meters Tall. The image was designed in the Sukhothai style and depicts a seated Buddha with hand on knee.